Local log deliveries of the 1.3m3 and 2.6m3 loads within Cheshire and Wirral are made using our small tipper vans. Your logs will be tipped loose on your driveway. 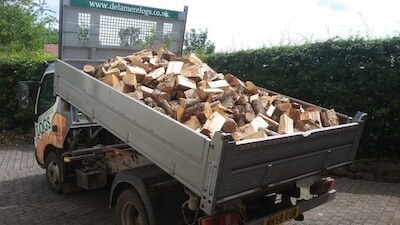 If you buy online or over the phone with delivery instructions we can deliver your logs whilst you are at work. Alternatively we can arrange a timed delivery. Our 1.2m3 bags of logs and log nets delivered on pallets are available across England and Wales with free delivery. 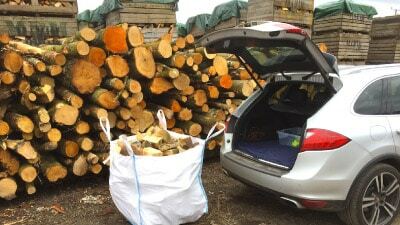 The logs are delivered by a 7.5 tonne vehicle to the kerbside only unless adequate access is available. Please note it is not possible for the delivery drivers to manoeuvre the logs up paths, slopes or over uneven ground such as gravel and grass. Our 0.6m3 bags of logs, nets of logs and nets of kindling are available for collection from the timber yard at Town Farm, Town Farm Lane, Norley, WA6 8NH. Our opening hours are Mon – Fri 8.00 – 5.00 and Saturday 8.00 – 12.00. 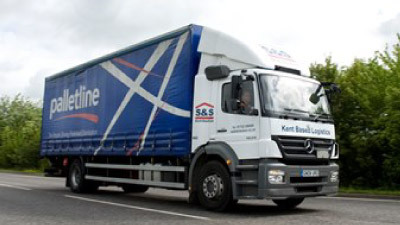 Please call ahead of collection as during peak times we are often busy delivering. If you have any further questions, please visit our FAQs page or Contact us.